Netflix’s upcoming Marvel series Luke Cage has its Luke Cage (The Good Wife’s Mike Colter), its showrunner (Cheo Hodari Coker), and one of its major villains (Alfre Woodard). 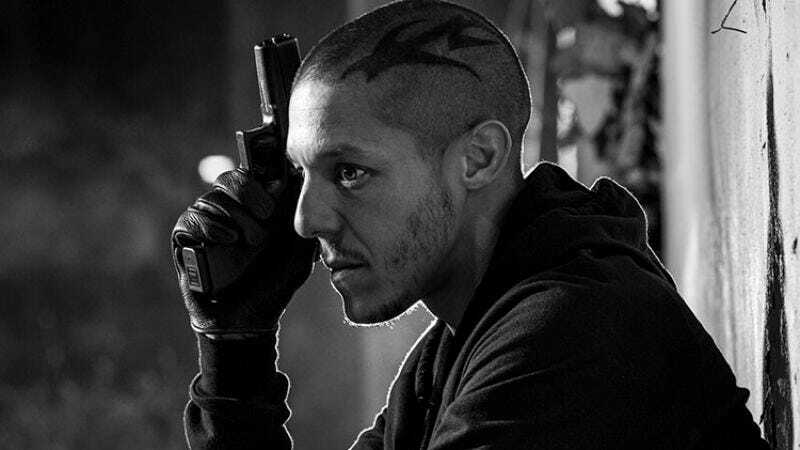 Now, it’s rounding out the rest of its cast, with Deadline reporting that Sons Of Anarchy’s Theo Rossi has been tapped as a regular opposite Colter and Woodard. According to Deadline, Rossi is rumored to be playing a character named Sonny, who is described as “relentless and menacing, smooth and manipulative, street smart and controlling.” Sounds like a super fun guy! “Sonny,” it turns out, is just a codename for Shades, a criminal from the Marvel comics universe and one of Luke Cage’s many enemies. The name Shades comes from the fancy optic blasters worn by the character, who was in the same prison as Luke Cage in the comics before escaping with his partner in crime, Comanche. In addition, Deadline reports that Rosario Dawson will reprise her Daredevil role in Luke Cage. (Dawson’s Claire Temple and Luke have been romantically involved in storylines from the comic books.) Dawson, who’s one of the best parts of Daredevil’s first season, is also set to appear as Claire in Netflix’s upcoming Jessica Jones series, which also stars Carrie-Anne Moss, Rachael Taylor, and David Tennant. Both Jessica Jones and Luke Cage are part of Netflix’s four-series Marvel deal that kicked off with Daredevil.